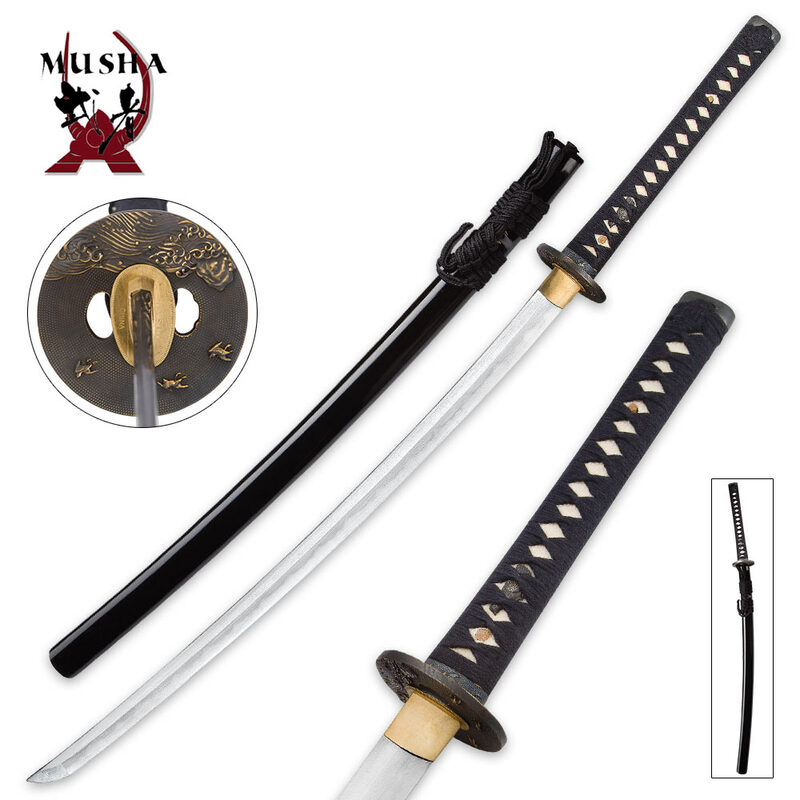 This Musashi Elite Black Falcon Katana is a masterpiece of design and structure. 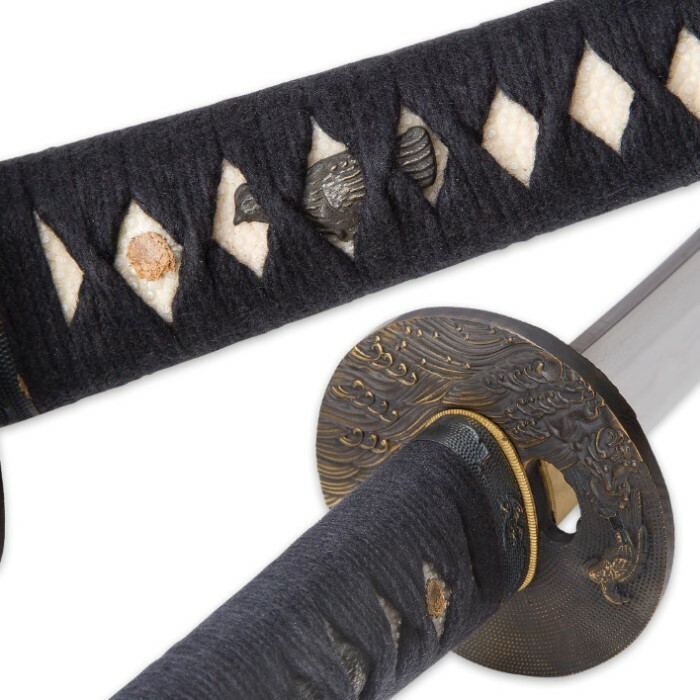 It was hand-forged and carefully assembled by some of the greatest swordsmiths in the world. The 29 1/2" blade is forged of 1045 and 1060 carbon steel that has been folded 11 times resulting in 4096 layers. 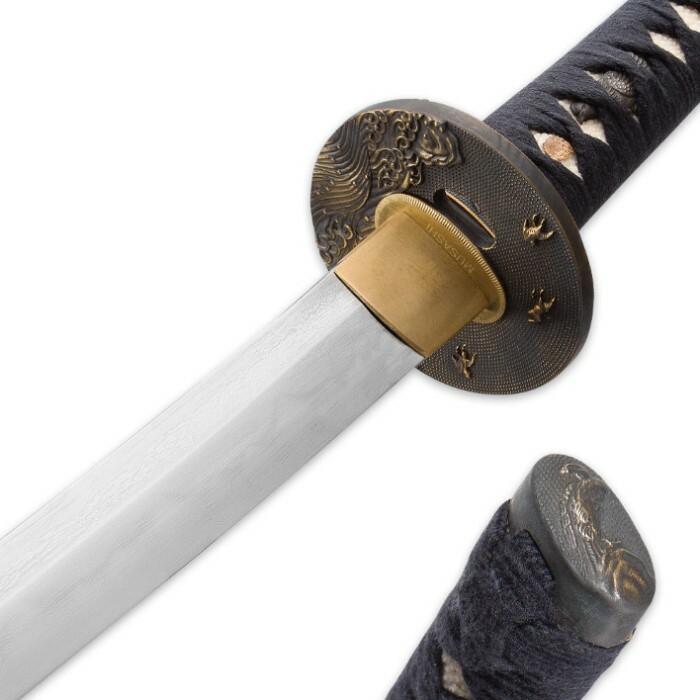 The blade was then clay tempered to produce a true hamon line and an edge hardness of 58RC. But this isn't just a pretty display piece, this Musashi sword is a full-tang, battle-ready sword that has been double pegged to the genuine rayskin wrapped hardwood handle to ensure it can withstand even the harshest cutting scenarios. It comes in a handsome storage box and includes a cleaning kit.